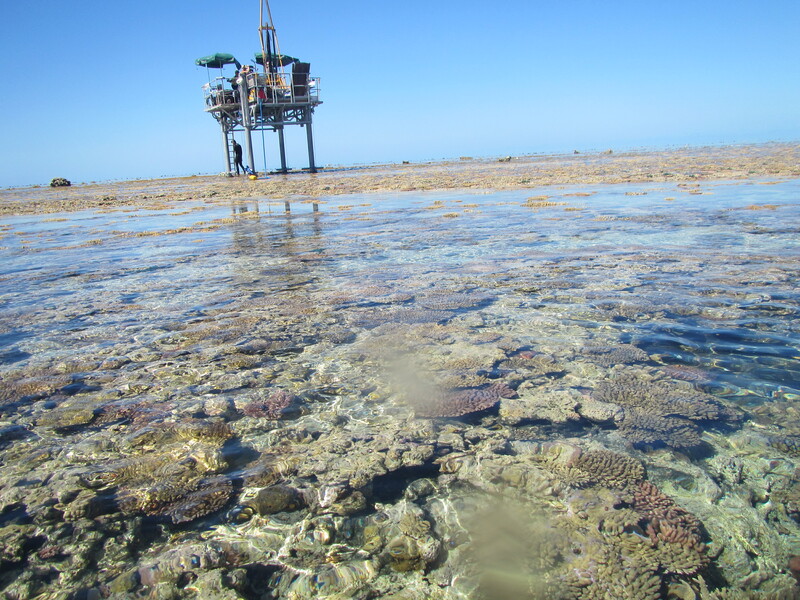 Update from Heron Island. Pulling up those fossil coral monsters! 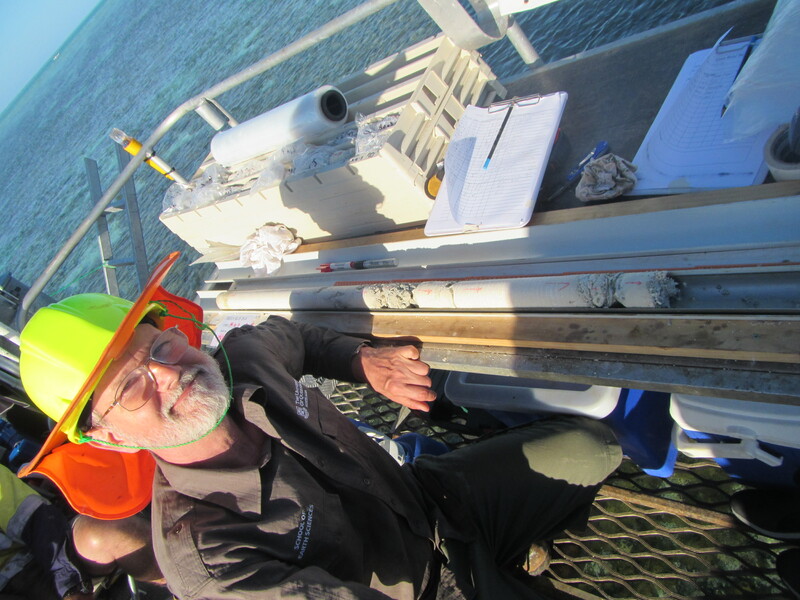 After some initial mechanical troubles and bad weather, the Heron Island reef coring is now going well. The jack-up drilling platform sitting proudly on the windward reef flat at Heron. The platform was designed and built by Dr Trevor Graham and his team at GeoCoastal consulting. Over the last days we have been recovering some beautiful sequences of insitu coral frameworks and associated sediments. Based on our preliminary logging, the cores are clearly recording major stratigraphic changes in coral assemblages and sedimentary facies types. Also we just recovered a 1 m massive fossil Porites coral from about 20 m below the surface that could yield a 100 year record of paleoclimate changes through the early Holocene. Two days before that we recovered a 2 m Porites colony. Fantastic! A very happy Prof. Gregg Webb (UQ) admiring his 1 m Porites birthday present! The team will continue coring today with the goal of reaching the Pleistocene basement reef and completing the hole. The plan is then to step back 50 m across reef flat towards the lagoon to try to understand how the age structure and facies vary spatially. Sadly, today is my last day at Heron but the rest of the USYD Geocoastal Research Group team (Belinda Dechnik and Steph Duce) will arrive shortly for the final stage of the campaign. Wish them luck.